Make A Splash- Shark Day! Assist with special waterpark event focused on shark theme with activities and educational opportuniites. Event set-up and tear down as needed. 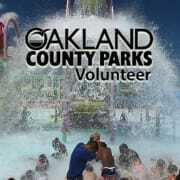 If you are a new volunteer please complete the volunteer application on the website at https://www.oakgov.com/parks/getinvolved/Pages/Volunteer.aspx.